Renting a self-storage unit is common these days, and finding a storage facility can be pretty easy. However, leaving your treasured belongings behind can cause a few concerns. Before you select a storage facility, make sure your belongings are in safe hands. Be sure to ask a storage facility these five questions before you select the one for you. When will I be able to access my unit? Finding a self-storage rental with 24-hour access may be difficult, but it’s not impossible. You are more likely to find a facility that offers standard hours of 8a-5p for your access period. Make sure the hours fit with your schedule since they will be housing your belongings. Having to store your items somewhere doesn’t always come easy - especially when it comes to the price tag attached to it. If you’ve already decided on how much you can spend on the rent, be sure you ask about any unspoken fees that may come up later. Will this unit have climate control? Depending on where you live, having a unit that has climate control may be necessary. Luckily for you, it has become pretty common to offer this and is even fairly standard nowadays. Do I have to get storage insurance? 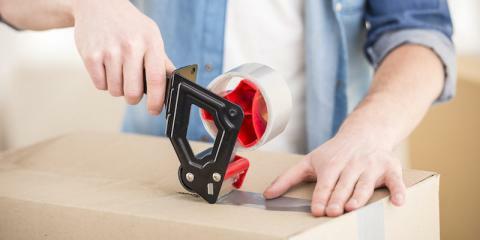 Purchasing storage insurance when you store your items with someone is something you should consider. The insurance is used the same way that your car or home insurance would. However, some facilities may require that you have it before moving into a storage unit. Don’t be blindsided by this. What type of security, if any, is provided? As we mentioned before, it can be tough to find the right facility to make you feel comfortable enough to leave your belongings there. So before you make your decision, ask about the security offered at the facility. Some places may have cameras, a security system or even a security guard. Know the questions you need to ask before heading out to see different facilities. Call Noah’s Ark today to see what we have to offer!